EXECUTIVE SUMMARY: Opposing terrorism, especially jihadist terror, has become a continuous security obligation of the US, Europe, and of course Israel. Still, too little serious analytic attention has been directed towards identifying remedies for such perils. These remedies should build upon an understanding of terrorism as a tool in the search for personal immortality. 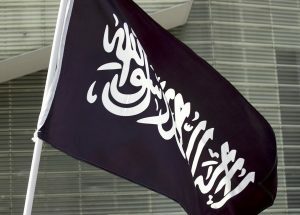 While counterterrorism specialists correctly devote considerable attention to the influences of martyrdom and jihad, not much cogent analysis has explored jihad’s deep underlying promise of power over death. Ultimately, it is the appeal of that promise that can determine the success or failure of terrorist movements. How, then, can this most exhilarating appeal be countered? Any purposeful policy response must be theoretical and knowledge-based, not merely anecdotal or narrowly deductive. Whoever the jihadist enemy of the moment may be, the true struggle is never just about territory, sovereignty, geography, or democracy. Always, whether we are referencing fighting in Iraq, Afghanistan, Syria, Yemen, the West Bank, or Gaza, the jihadist enemy seeks something much more compelling and personal. That special “something” is life everlasting. Certain obvious questions should now arise. How can we combat such an incomparable and unchallengeable form of adversarial power? Can any earthly promise compete successfully with religion-based offers of immortality? Our answers, however partial and tentative, must be based upon well-reasoned analyses. They must be fully civilizational and densely cultural. And they will have little or nothing to do with the application of military force. To deal successfully with jihadist foes, it must be acknowledged that counter-terrorism is never primarily an operational problem. If it were, the threat would be more readily susceptible to narrowly tactical remedies. Sometimes, scientific truth is counterintuitive. For example, jihadist terror has little to do with land, politics, or strategy. Ultimately, it reveals itself as an expression of “sacred violence” – that is, of doctrinally based harms directed against designated apostates, heretics, or outright unbelievers. At its heart, this ever-expanding network of orchestrated homicide now represents an au courant form of religious sacrifice. A longstanding historical practice, religious sacrifice stems from pre-modern customs (not necessarily Islamic), practices that link each planned suicide’s “martyrdom” to a proper victim. Are there any available diplomatic solutions for jihad? Such plainly sacrificial violence expresses Istishhad, or “Death in the path of Allah.” Consequently, it would seem that there can be little or no room for negotiations. For the US and the West in general, most notably Israel, there might never be any advantage to offering concessions or any other manifestations of compromise. The deepest roots of jihadist terror originate, at least in part, from those cultures that embrace certain views of sacrifice. In all of these “sacred violence” contexts, the purpose of sacrifice extends far beyond civic necessity. Here, sacrificial practice becomes a passionate and fully ritualized expression of religious fervor. Such sacrifice stems from a desperately hoped-for conquest over death. To us, in the West, such faith-based hopes may sound unconvincing. Still, in this arena of world politics, there can be no greater power than power over death. After all, more-or-less persuasive promises of immortality underlie virtually all major systems of religious belief. Yet, for one reason or another, this fact remains neglected or misunderstood in Washington, Jerusalem, and other major Western capitals. Martyrdom operations have always been associated with jihad. These missions are ostensibly based upon long-codified Muslim scripture. Unequivocal and celebratory, jubilant invocations of this particular species of warfare can be found in the Qur’an and in certain canonical hadith. For the US, Europe, and especially Israel, the security implications of any adversarial fusions of religious doctrine and violence warrant careful reexamination. A jihadist terrorist, firmly convinced that violence against the US, Europe, or Israel will lead directly to martyrdom, will likely never be deterred by ordinary threats of military or armed reprisal. This “faithful” criminal will be encouraged to commit further atrocities by territorial surrenders and/or prisoner exchanges. What is the policy bottom line of all this? Above all, it is that our current and projected wars may be largely beside the point. Whether we are willing to accept it or not, these corrosive wars are usually just focused on the visible symptoms of enemy pathology and not on the underlying disease. Faced with determined adversaries who are not only willing to die, but who actively seek their own deaths in order to “live forever,” Jerusalem and Washington should finally understand the limits of narrowly military remediation. These limits could become even more unmanageable if unconventional war and unconventional terror are at any time forged against us in synergy. From their perspective, our jihadist enemies do no evil. They commit themselves to the killing of Americans, Israelis, and other despised “unbelievers” with absolute purity of heart. With their sacred underpinnings, such killings are invariably heroic in the minds of the perpetrators. The war against jihadist terror must become a preeminently intellectual struggle. In explaining their own orientations to war, the ancient Greeks and Macedonians did not hesitate to express their preference for struggles of “mind over mind” over those more prosaic contests of “mind over matter.” By extension, the best case of “mind over mind” would allow an enemy to be defeated without any costs or risks to “matter” – that is, without any actual fighting.